It's always a good comic book day when there's a new Marvel Select figure on shelves and this week's a real good one. Ultron has been one of my favorite Marvel baddies for years and is far and away one of the biggest villains in the Avengers (and about a dozen others) rogues gallery. 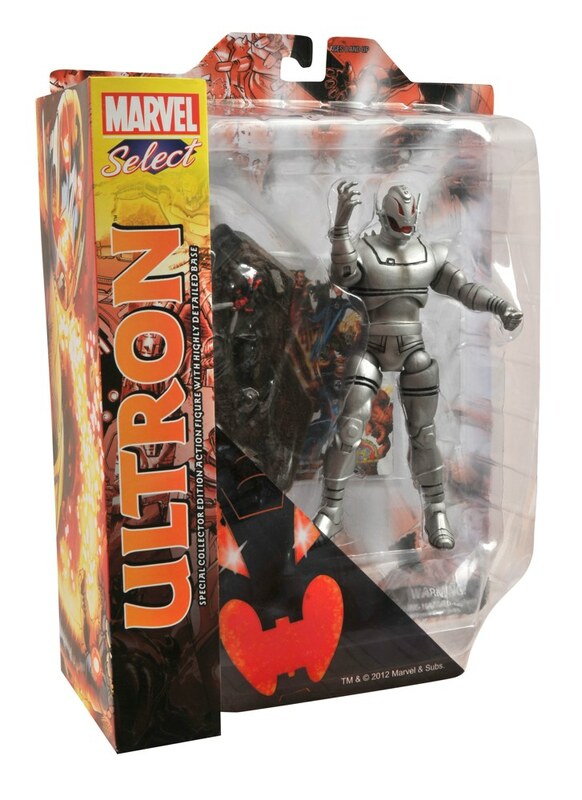 I'm pretty pumped to get a version that's as classically 'Ultron' as you can get. Watch out, Avengers -- Ultron has arrived! Designed and sculpted by Gentle Giant this 7-inch figure depicts the classic Avengers villain in all his robotic glory. Ultron was built with 16 points of articulation, so he can strike menacing and/or victorious poses over the fallen forms of Ant-Man and the Wasp on his display base. He comes packaged in our deluxe Select packaging, suitable for in-package display and with keen side art for shelf storage. Battle Beasts is also on the docket this week as the third issue of the limited edition of the series makes it's way to shelves. 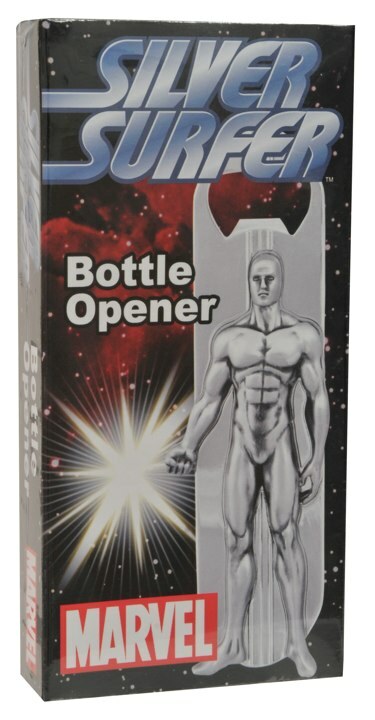 And then there's the Silver Surfer bottle opener. I love this thing. I'm not even gonna say anything about it- just have a gander and enjoy. Galactus may hunger, but he'll need a tall beverage to wash down that planet he just ate! 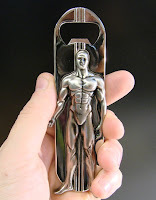 Luckily, there's this handy-dandy Silver Surfer bottle opener to pop open the top of his grape Nehi! 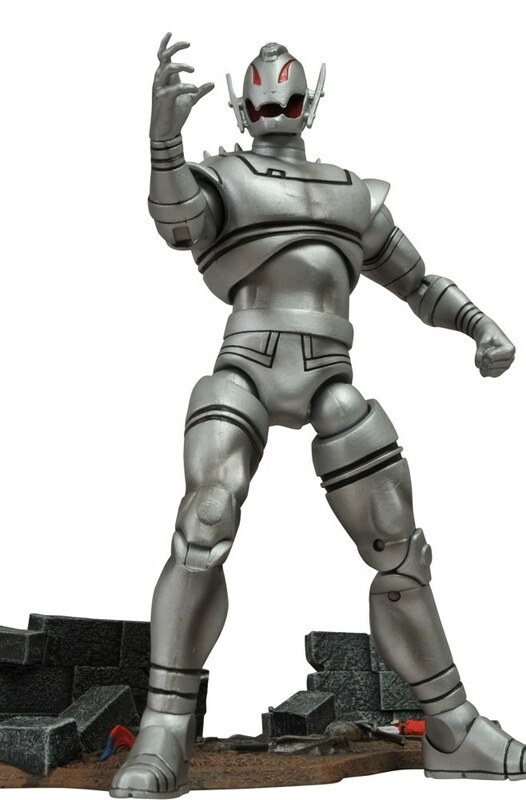 Standing nearly 6 inches tall, this metal opener depicting Norrin Radd, surfer of the spaceways, has the same chrome finish as Galactus' most famous herald. Simply holding it in your hand makes you feel like a devourer of worlds! 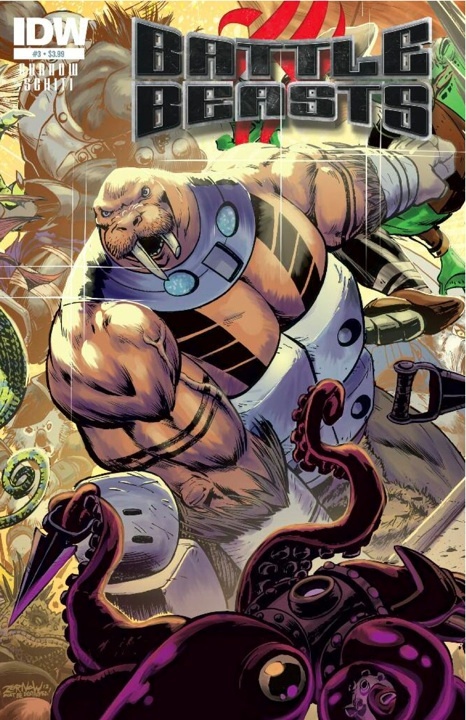 Based on the upcoming toy line from DST, it's Battle Beasts #3 from IDW! The epic invasion of Earth by the Beasts has turned San Francisco into a war zone, and the army has been called in to deal with the situation. Vorin, Merk and Gruntos take their human charges underground, and we catch a glimpse of how their band of brothers was formed. The last chapter before the whisker-rattling finale! Regular cover by Valerio Schiti; 1 in 10 cover (part two of a triptych) by Jeff Zornow.